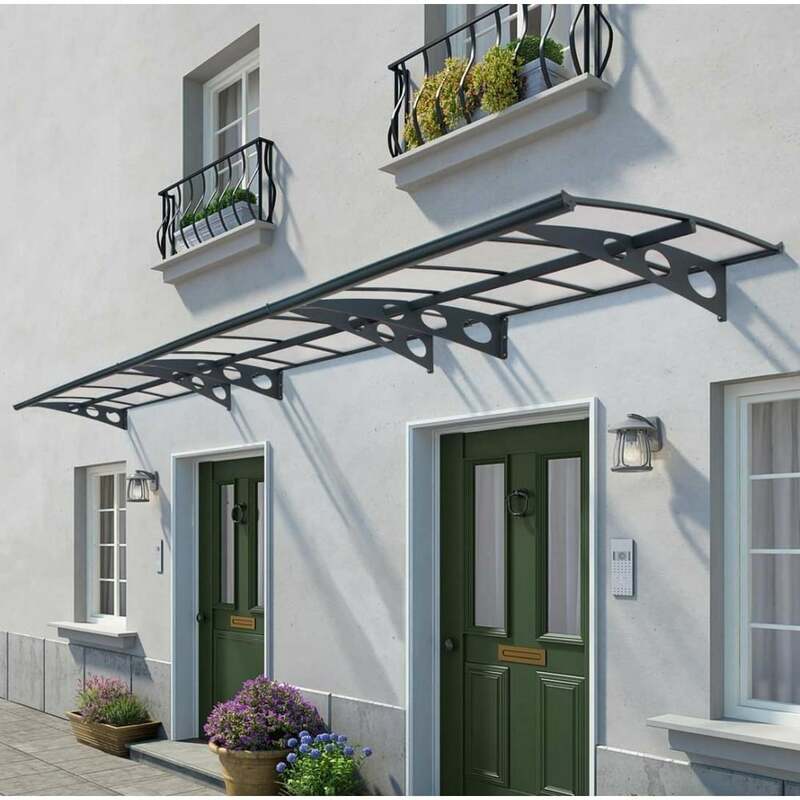 Palram Herald Door Canopy 6690: This stylish and strong door canopy from Palram will keep your doorway and entrance facade protected from the weather and can be used to provide shelter for other items such as bicycles. A rust resistant aluminium frame is supported by dark grey steel arms ensuring durability and stability during the inclement weather. The shatterproof panels are UV protected and integrated gutters and a hidden rubber gasket, which fits between the frame and the wall, will offer further protection from the rain. This self assembly canopy includes a 3 year warranty against manufacturing defects and is certain to complement your home beautifully and includes all installation components.